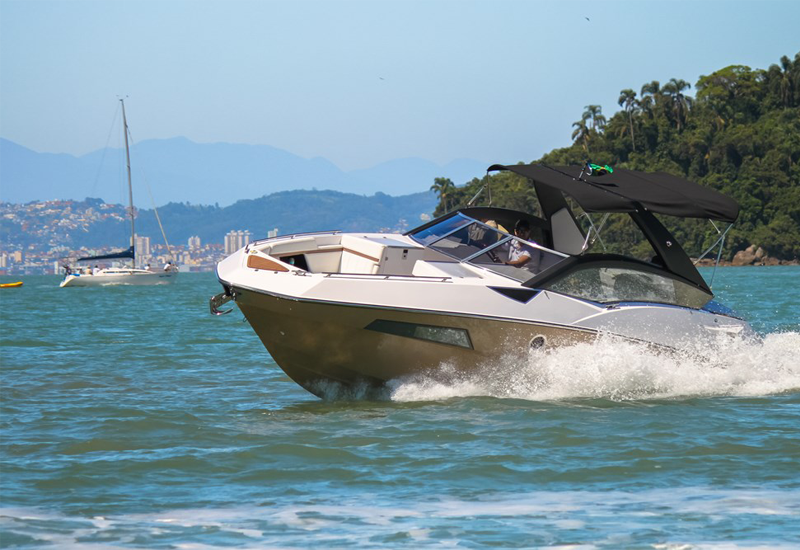 FS 290 Wide’s design can be confusing at first glance because there is no similar watercraft in Brazil. 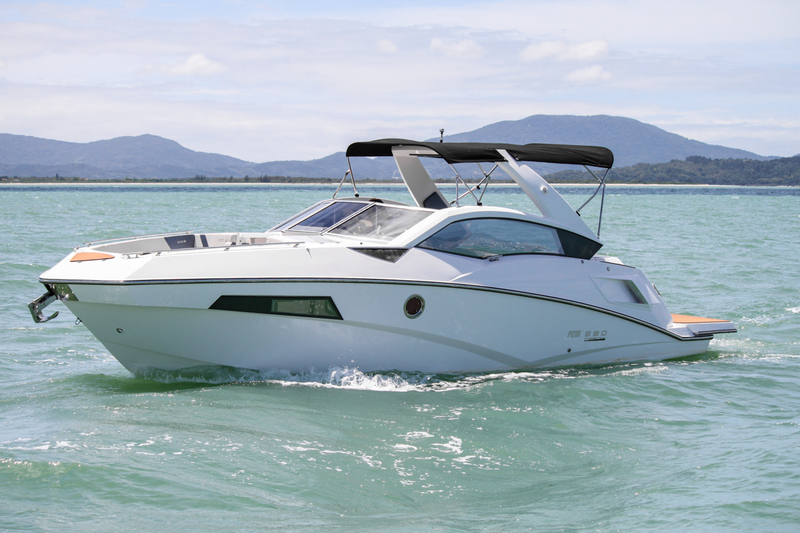 However as you get to know it a little better you will agree that there is probably no other motorboat designed in such a great way for you. 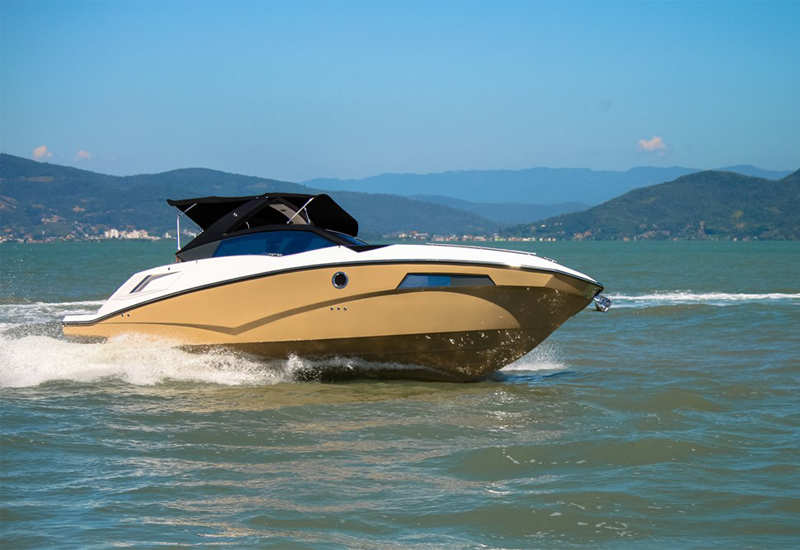 The FS 290 Wide prioritizes the space on board, after all, all of us ride our boats during the daytime, and the greater part of the fun happens in the sun. In order to offer a greater comfort during the outings, the FS 290 Wide features a full bathroom with an electric toilet, a window, a washbasin w/ tap, a shower, and a trash. 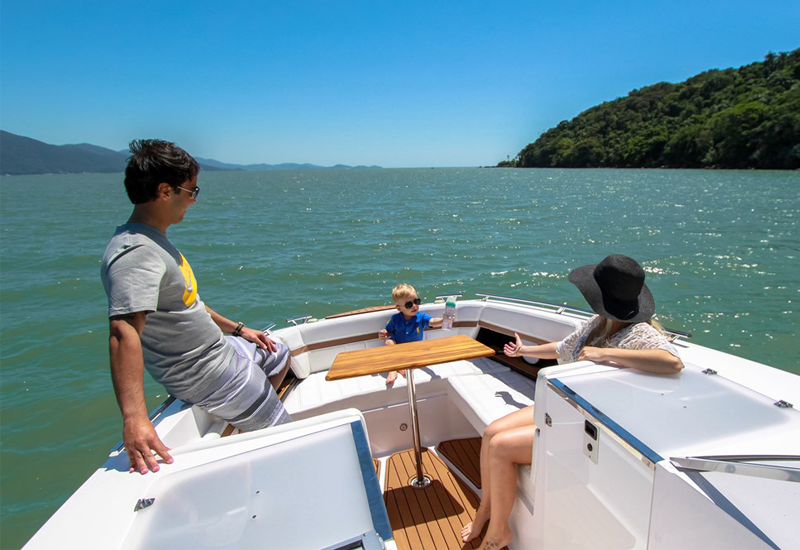 And for those late afternoons when your kids want to rest, the closed cabin of the FS 290 Wide offers plenty of space and comfort, having 3 windows to keep the cabin lighted and well vented so that you can keep riding and having fun with your family and friends! 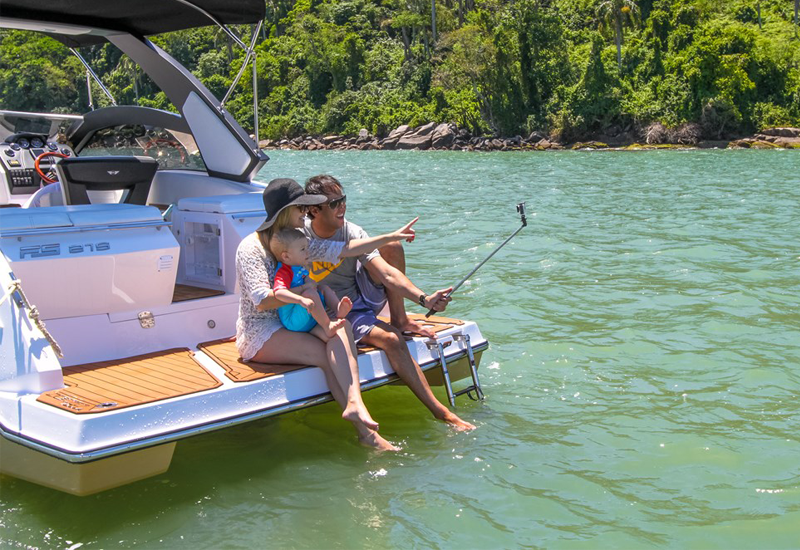 The FS 290 Wide’s bow is made to accommodate 5 people, but it comes with cushions that can complement the bow to create 2 side divans, or even a huge sundeck as big as a double bed. 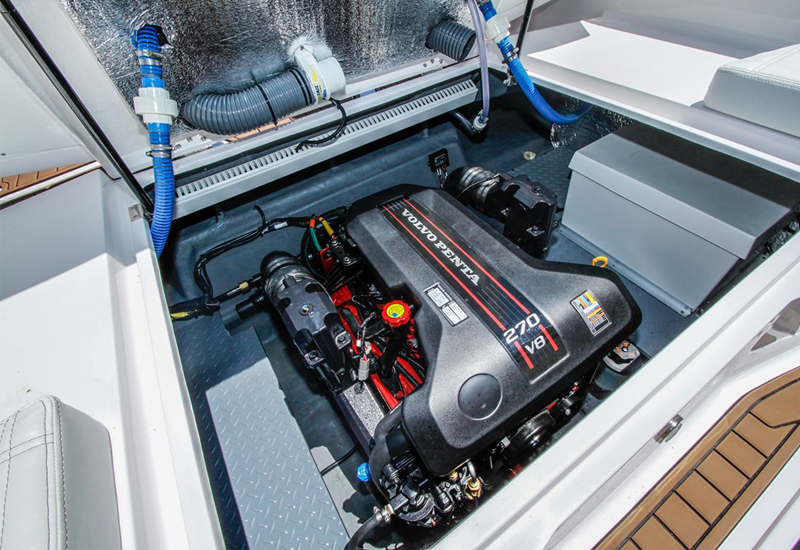 Unlike the other open-bow motorboats, with the FS 290 Wide, you do not need to give up a bathroom or a cabin. 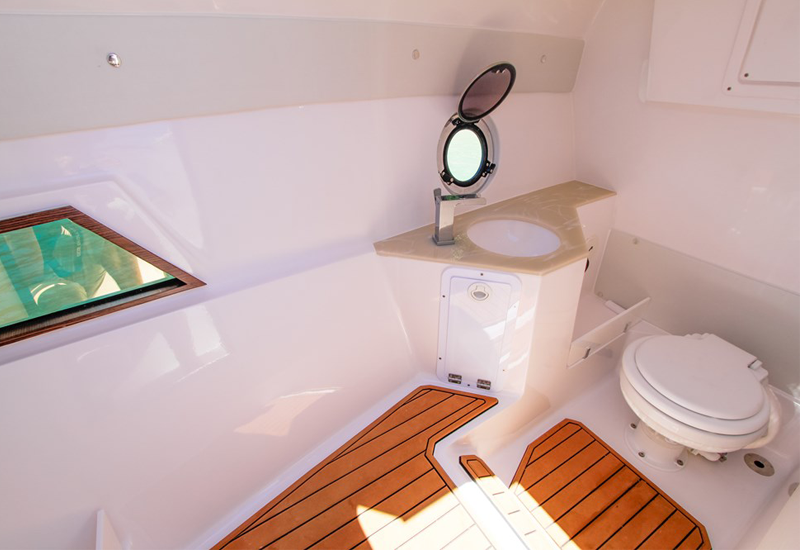 In fact, the FS 290 Wide has the largest bathroom of its category and a cabin to envy too many cabin motorboats, with a comfortable bed and 3 windows, which offer your family all the necessary comfort on board. Deck table made from teak wood. 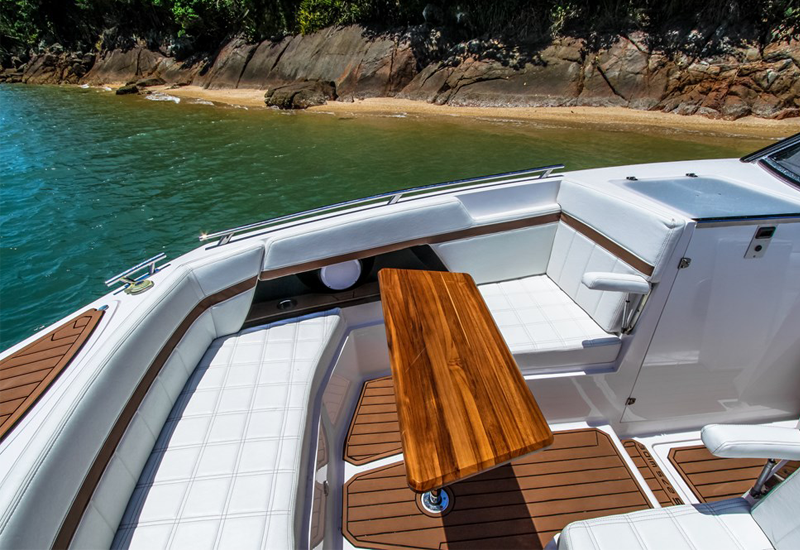 From the good aft deck to the piloting station, this release of FS Yachts – a shipyard from Santa Catarina – follows the same standard as of the successful FS 290 Concept, which went into the water last year. 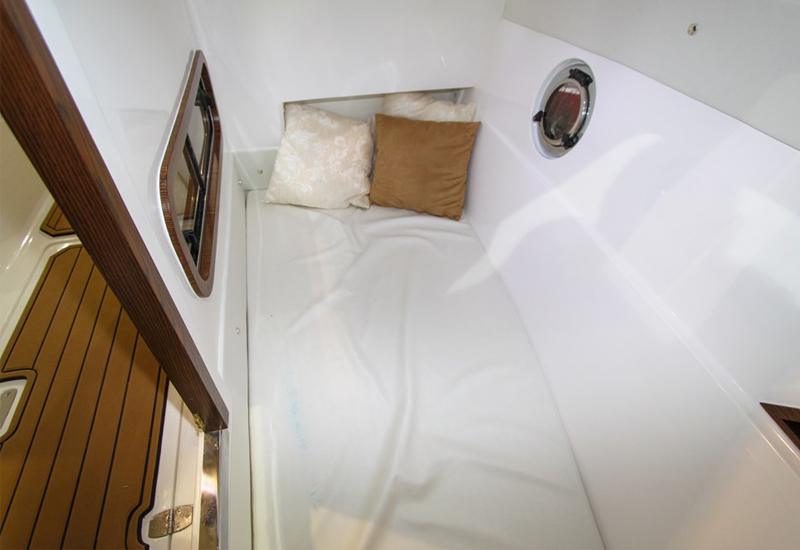 The cockpit, which can hold 14 people on board, is covered with a Bimini Top, has two sofas, a minibar (with a sink, a cooler, and a trash can), cup holders, speakers, and a side table (which can be placed at the bow). 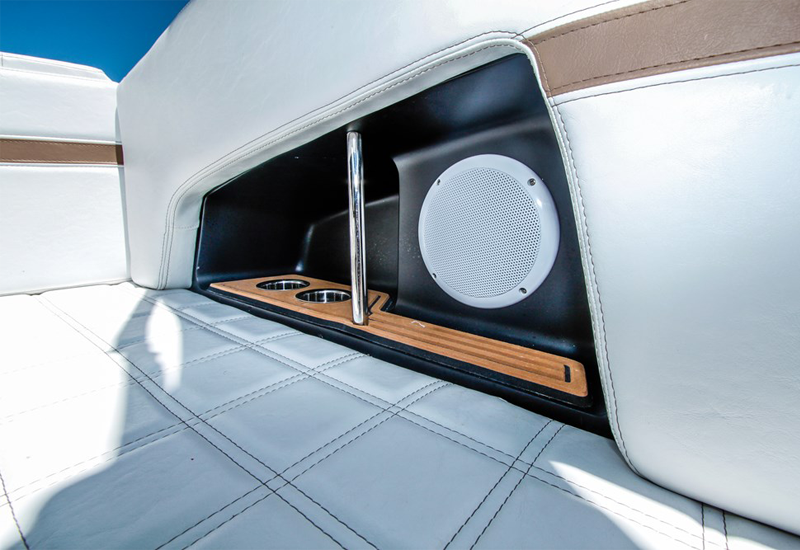 The pilot’s seat is fully adjustable and the steering wheel is retractable. 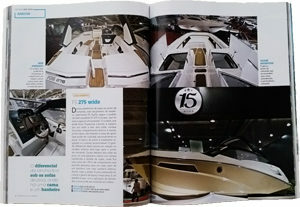 This motorboat’s major differential, when compared to the FS 290 Concept, is located just a step ahead the helm station; almost under the bow sofas, there is a small cabin with a translucent lid and endowed with portholes, featuring a bed 1.90 meter long, which allows for a couple’s rest, plus a bathroom with an electric toilet, a shower, a washbasin, and a window. 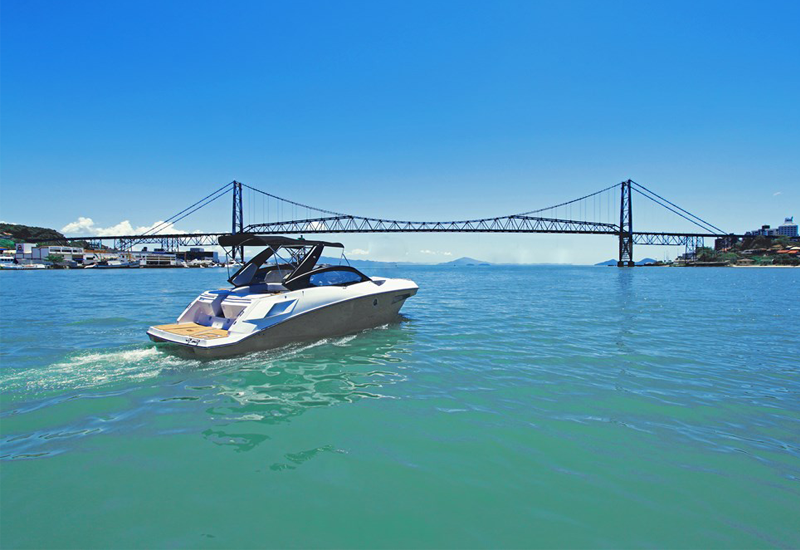 The hexagon-like bow promotes a space gain at the foredeck. 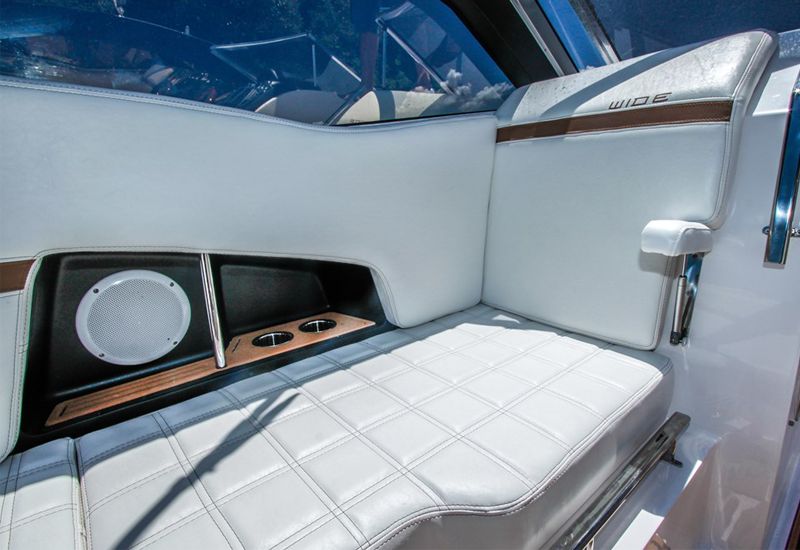 And it is interesting to see how – by the placement of cushions – the foredeck can be converted into a sundeck.